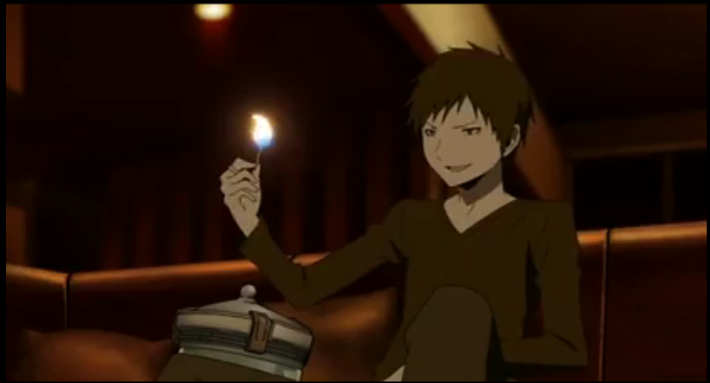 Izaya Orihara seeks to set the world ablaze. Episode 18 of Durarara!! focuses on the Yellow Scarves’ shogun, Masaomi Kida, revealing just how much he has been played by Izaya. For a detailed description of the events, and lots of good screen caps (including an animated GIF of Izaya’s insane actions with the match seen above) check out Kyokai’s review at Metanorn. Erika Karisawa, she doesn't do much, and seems a little crazy. The thing that most impressed me this week was just how much Izaya has been messing with people, and possibly nobody more than Masaomi Kida. That’s saying quite a lot, given that he physically has possession of Celty’s head. But Izaya has gotten inside Masaomi, and is now controlling him like an RC model of the U.S.S. Enterprise. As we learn in this episode, Izaya’s tentacles grasped Masaomi long ago. He clearly had his eye on the leader of the Yellow Scarves long before they were useful for anything other than bragging rights on the Junior High schoolyard. 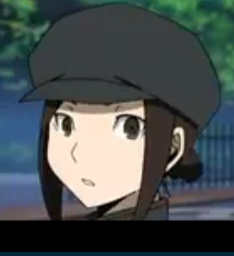 Izaya approached Masaomi first through Saki. As Caraniel states, “Saki’s entire purpose was as a tool to manipulate Masaomi.” Izaya declares himself Saki’s “guardian”, but that is utter BS. 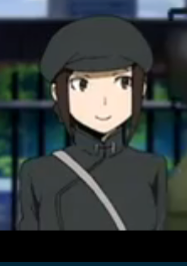 I am convinced that Izaya is directly to blame for Saki’s kidnapping and injuries. They were necessary to strengthen his grip on Masaomi. When a Yellow Scarves member first referred to Masaomi as “general” (shogun), I thought he really had some great strategic ability that caused the gang members to look up to him. This episode makes it clear that there is a good reason that he doesn’t want to be called shogun; he really is just Masaomi Kida after all. Erika is incredibly cute, but has a twisted yandere side. After Izaya planted Saki close to Masaomi, the Yellow Squares started having problems with the Blue Squares, problems that Saki constantly urged Masaomi to turn to Izaya for help solving. Note that, from the beginning, the Yellow Squares successes were not the result of Masaomi’s leadership, but of Izaya’s information. I personally believe that, when the Blue Squares started successfully attacking, this was the result of Izaya feeding information to their side. Masaomi admits that the Yellow Squares had no sense of strategy or tactics. When the Yellow Squares launched a wave of successful counter-attacks, the tactics were fed to him by Izaya Orihara. We had been hearing that the color gangs disappeared after a big event of some sort. I’m convinced that Izaya was behind that as well. Saki was kidnapped by the Blue Squares. Where did they get the information as to who to kidnap to get to the Yellow Squares leader? How did the Blue Squares leader know Masaomi’s phone number? Certainly Izaya knew perfectly well why Masaomi was calling, and he made no attempt to assist in the rescue of his “guardian”. Not only was Masaomi not the strategist behind the big event (quite the opposite), he didn’t assist in Saki’s rescue, and it turns out that the person who really busted up the Blue Squares was Saki, who put their leader away with her testimony. So the Yellow Scarves think they need Masaomi Kida to return to their former glory. They idolize him and call him shogun, but Masaomi was being played by Izaya, almost from the very start. The victories and the defeats were nothing but matches of solitaire that Izaya played with human lives. Fun episode getting to see Kida’s back story and how he got involved with Izaya, Great ending too leaves more fun to be had next time. Wonder who told Anri where to look? hard to believe she was wandering around dressed in all black. Maybe she followed Kida after he went off? She was already pretty curious about him acting weird. I think she has information from her Saika children. Izaya is such a player! I mean hold onto your horses over god-modding but seriously, seems like he has all the cheat codes of the game. At every new revelation, I’m amazed at Izaya’s depth of involvement. Masaomi got totally PWN’d and Saki, though I empathize with her but there is a limit to being blind in faith. What is up with this series and stalkerish women? Yeah, Saki would already be mind-boggling without the existence of Mika and Haruna (not to mention Namie’s thing for her brother). What’s worse is she doesn’t show “normal” stalker behavior; she acts like she was programmed by Izaya. Masaomi comes off as very tragic now. If someone dies in the upcoming confrontation, I have a feeling it will be him.